Hello my name is Scott Haskins, Painting Conservator and Head of Conservation at Fine Art Conservation Laboratories (http://www.FineArtConservationLab.com) and I am excited to tell you about the art conservation of the gorgeous paintings of the old Spanish missions of California by Edwin Deakin done between 1897 and 1899. The 21 paintings of the missions of California by Edwin Deakin are part of the collection at the Santa Barbara Mission Archives Library (http://www.sbmal.org) under the direction of Dr. Monica Orozco. Though the California missions were painted by many artists in the 1800’s only a couple of artists did complete sets of all the missions. Among the most famous was Henry Chapman Ford who painted a series of all the missions 20 years earlier. But of all the artists in the 1800’s, Deakin’s moody old Spanish mission paintings are the most beautiful, the most artistic and the highest quality. The artist, of course, love these paintings when they were finished… so much, in fact, that he set a high price on them individually, and as a collection, so that they would never sell and they would stay together as a collection. The paintings have been well cared for over the past 120 years and have reached our day in a fairly good condition. They were donated in the 1950’s by the very generous Elaine and Howard Willoughby. Let me share with you some of the preservation and art restoration details that were done to help this paintings look their best. Tests were performed to make sure that the treatments were safe for the artwork. The cleaning spot in the video showed how discolored the varnish layers were, as we removed the varnish layers from the paintings you can see in the video the difference that it made in returning the paintings to their original colors. Gathers on the corners of the paintings were relaxed and pulled out. The original frames had oxidized, had changed colors and were splitting at the corners. Deakin painted his crest and signature at the back of many of the paintings and often made notations as you can see in the video. In the video is a quick viewing of all the 21 paintings in this collection after the oil painting restoration treatments. When Deakin painted these paintings, these historic structures were being re-appreciated, re-valued and the “Mission Style” was very popular. Not only did Deakin love the culture around the missions but he wanted to see them restored and revitalized, but this was not the case with everyone. I should mention also that there is a great book put out by the Santa Barbara Mission Archive Library on these 21 oil paintings that FACL worked on, plus the corresponding watercolors that belong to the Santa Barbara Historical Society (now the SB Historical Museum). In the description area below this video there is a link to learn more about this book. Thanks are expressed to Oriana Montemurro and Virginia Panizzon, painting conservators at FACL, for their skill and professionalism that were put into the work on these paintings. It was truly a labor of love. It’s been exciting, a great pleasure and honor for us to provide painting conservation services for the Santa Barbara Mission Archive and Library (SBMAL) on these wonderful paintings by Edwin Deakin. For us preserving and restoring these wonderful paintings for our generations in the future feels like there is a social conscience part of our work. Thanks to danosongs.com for the royalty free music. 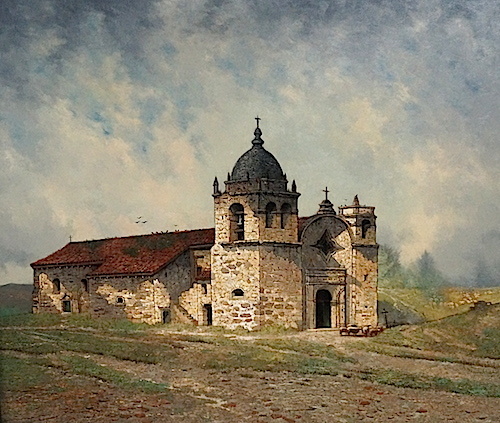 This entry was posted in Painting on canvas and tagged Edwin Deakin, Missions of California. Bookmark the permalink. I have came across a oil painting of a Spanish mission. It is undated and unsigned. Can someone help with information? These paintings are a National Treasure of the US! Its very fortunate that someone has the foresight! I’ve been doing this, Joseph, since 1975 and I’m still intrigued! Thanks for your comment Beverly. Yes, if the painting is we taken care of like the paintings in this article, then the job is much easier. But we are ready and able to work miracles!! Thanks Dan. This month we may hit 100,000 website visitors!! Its very satisfying work Ollie. Thanks for leaving a comment. The videos that show how you restore art are very interesting to watch. By doing that you are adding great value to your already well followed website. Great work, Scott! It must really feel great giving life back to wonderful and historic art. I’ve been all over your website… Small paintings to large murals and you are truly the artist by saving fragile paintings from 100+ years ago. You have a great website here Scott. The information that you provide really lets us readers take a look inside your operation and what you can really do for art from around the world. Old time Spanish art is one of my favorite types of art to get into. Thank you for sharing the journey of these fine pieces! It must be a lot easier to restore paintings that have been taken care of to some degree, right? I mean, if I were to find a painting in my grandfather’s basement that has water damage and a small rip in the canvas, is there still something that you can do about it? I assume that most people that see paintings that need to be “re-worked” would think there is nothing that can be done and it would be time for the trash. 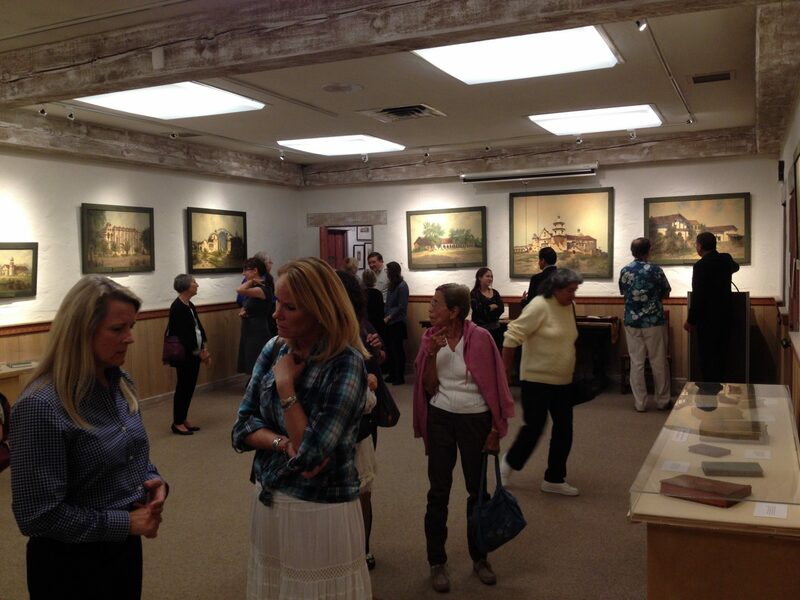 Getting your website out into the community is a good thing and being able to provide a second life to these paintings! Going through art school now and learning about restoration has been a blessing. Taking the painstaking hours to bring something like this back to life is very entertaining to me… restoration intrigues me. Scott, after reading through some of your website, one question comes to mind. How does a person get into the restoring of paintings like this? It is a great talent and besides a degree in art of some kind, what other requirements would you suggest? It is real nice to see people donating collections like this to be restored. They obviously know the value of art from that time period and are well aware of the fact that your service can bring the beauty back into something so honored. If the paintings had a very high price on them back when they were painted, what would a collection of these 21 paintings be valued at today? The art world brings on the demand and with the high quality paintings they are, I would think the value is quite high. That book about the restoration that you did is a great read. There is so much information on the topic and it is well worth the time it takes to read. Knowing about these 21 paintings, the book was something I was looking forward to. Taking varnish and other weathered layers off a frame is one thing, but being able to get a weathered painting that might even have a tear in it back to “normal” is amazing. This is an amazing collection of paintings from that time period. Sunset Magazine had it right, that is for sure. The paintings are some of the best, historical from that time period. It is good that you work with these people to bring some of these back to life. Great work! I have been waiting for a video like this on your site. That collection is a great one and you are prolonging something that is really great in history. Nice work! I have been following Spanish Colonial Art and the mission culture and style for many years now. The pieces are just amazing and your website is a great show of all of that talent from the time period. Thanks! This donation is very generous! I am glad to see the restoration project. Again, your service is very unique and a great talent. 1897! Wow, those paintings are just fantastic. The scenes that were painted are one of a kind and the detail is just great! There is plenty of information in that video and I really like that! Thank you very much for sharing it with us. Seeing the story about these 21 paintings is real neat. One of my favorite things about art is seeing it from the Spanish Revival period. The movement was obvious as you look through the art from that time. Thanks for sharing! Wow. I just cannot get enough of the service that is provided to these paintings. It is truly amazing to watch! Glad to see such a worthwhile project in such capable hands. It’s fascinating to see the missions in their pre-restoration states and to learn that Deakins was tapping into a 19th century romanticizing of ruins in an effort to have these particular sites rebuilt and restored. The history of the mission revival movement in California is quite a story from both an aesthetic and sociological standpoint. I haven’t seen all of the missions (about half at this point) but hope to get to all of them eventually. Thank you Lynne for your comments. The CA missions are a very interesting part of our history. I love these paintings too. 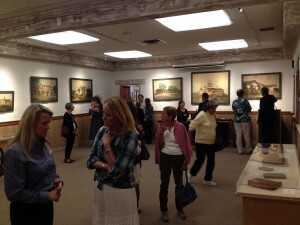 This is truly an amazing collection and I am very impressed with Scott Haskins and Fine Art Conservation Laboratories! It is so inspiring to see the attention to detail and the care that FACL and Scott Haskins take on this project and on others I have seen. Thank you for sharing this wonderful collection. Thanks for the compliments Diane. You said it well, this is a historic treasure for California! Thanks Beri! It was a great job, very satisfying. The staff at SBMAL were always very good to work with also. Great collection and really fantastic work! As a painting conservator myself I can imagine how satisfying and pleasurable was working on those pieces. Great job! A truly incredible Deakin Collection, as well as an Historic Californian treasure! To see them preserved by leading Conservators from FACL is brilliant! I love the study of the missions too. You’re kids are lucky to have such an enthusiastic parent. I am more excited about this restoration, than anything I’ve seen in a long time. As a mom who had the great fortune of taking each of her six children to whichever mission they were assigned for their school Mission projects, this particular project is very near and dear to my heart. Our family library has a whole section devoted to the California Missions. I truly hope that I am able to come visit, and see the beautiful restoration work done on these paintings, in person.